"Duck and Cover: It's Doomsday 2012"
As you may be aware, the END OF THE WORLD is scheduled for December 21, 2012. From the Mayan calendar to the religious zealots, people have been predicting the end of time since the beginning of civilization. Worried about the atomic bomb, children of the 50s and 60s learned to "Duck and Cover." Watch some hilarious government videos about preparing for a nuclear disaster. How will the world end? B-movies have found many exciting ways to kill off the human race: war, pandemic, astronomic events, alien invasion, ecological catastrophe, cybernetic revolt, monsters and zombies, and social collapse are just a few of the possibilities. Follow the year's activities at the BIFF Facebook page and BIFF Blog. The 18th annual Bicknell International Film Festival (BIFF) kicked off with the "world's fastest parade" from Torrey to the Wayne Theatre in Bicknell on Friday evening July 20. Thunder and lightning provided a perfect backdrop for the "It's Doomsday 2012" theme. Participants from as far away as England and Saudi Arabia enjoyed the 1962 feature film "Panic in Year Zero." 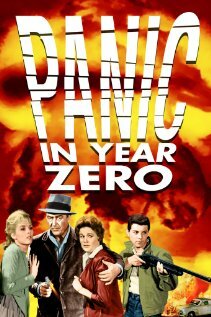 It's time to panic with our feature PANIC IN YEAR ZERO! A family of four leaves Los Angeles for a camping trip just before a nuclear bomb destroys the city. As lawlessness prevails, the father must fight to keep his family alive! Don't miss one of Frankie Avalon's first films playing a 20-something teenaged heart throb. You'll be asking deep questions like… Why are the women wearing dresses on a camping trip? Why do the same cars keep passing them on the road? How does their hair stay so nicely curled during the collapse of civilization? Be sure to shave every day to remain civilized! The evening concluded with a dinner party at Rim Rock Patio featuring the band Sister Wives. To view the kickoff video montage, go to YouTube. To view photos from the day's events, go to Facebook. The Saturday activities expanded to include games in addition to the traditional lunch and matinee. To provide outdoor space near the theatre for the Doomer challenges, the lunch was held at the Bicknell Park this year. 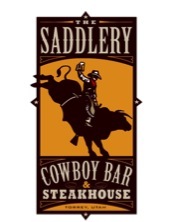 A wonderful lunch sponsored by The Saddlery Cowboy Bar and Restaurant. 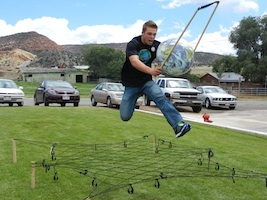 Ten teams competed in four events including the Dit Dat Dash, Hydro Hustle, Anyone Out There Challenge, and Save the Earth Relay. 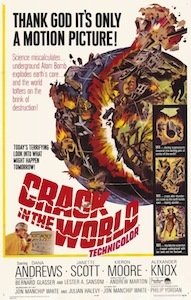 BIFFers also enjoyed an afternoon matinee featuring the 1965 film "A Crack in the World". We looked long and hard for a truly awful movie worthy for our matinee. 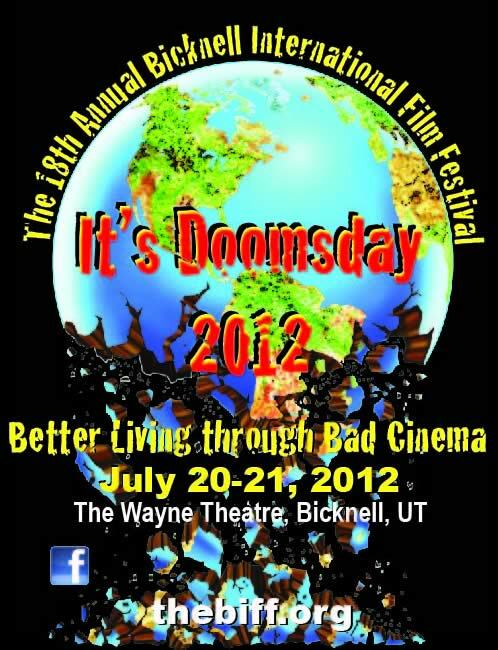 This doomsday disaster film is a combination of natural and human-made disasters that may cause the end of the world! Let's just say, it's a disaster for the world as well as for movie viewers. Our lead scientist explodes an atomic device while drilling for geothermal energy deep in the Earth's crust. The detonation causes a massive crack that threatens the very existence of Earth! You won't want to miss the strange love-triangle featuring our mad scientist who is dying of a really bizarre form of cancer, his perky young scientist-assistant wife, and a hunky chief geologist. Will the crack cause the world to end or will our hunky geologist be able to stop the mayhem? Our BIFF Board will once again provide visual commentary in Mystery Science Theatre style on a sidescreen for the matinee. Check out the trailer at YouTube. 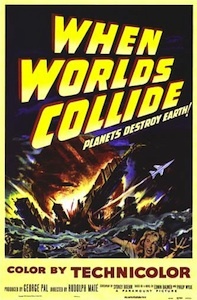 The festival concluded with the locally produced film titled "BIFFman 2: The Next Generation" along with the 1951 classic "When Worlds Collide". In Part 2, after global destruction Lewis and Clark are two of the last people alive. When Clark discovers the ancient BIFFman costume, he becomes BIFFman 2. When the Queen and her minions discover BIFFman is alive, they try to destroy him and his buddy Kickside before they can reach the time portal and prevent the doomsday bomb from exploding. This film was created as an entry in the Bicknell Independent Film Contest for the Bicknell International Film Festival in Bicknell Utah. Scientists have confirmed their worst fears. A star called Bellus is on a collision course with Earth! The end of the world is only a few months away. Will you be one of the lucky few to escape in a spaceship to the planet Zyra? When Worlds Collide may not be "bad" or "B" but it's definitely a bizarre blockbuster. The special effects used to create massive earthquakes, volcanic eruptions, and tidal waves are hilarious by today's standards, but won the movie an Oscar in 1951. References to When Worlds Collide found in The Rocky Horror Picture Show, Star Trek II and the Simpsons show that this movie is truly a classic worthy of our BIFF grand finale Saturday Night. The "It's a Wrap" party held at Robber's Roost and featured the band Main Street Revelators. To view the film BIFFman 2: The Next Generation, go to YouTube. To view photos from the evening events, go to Facebook. Thanks to our many sponsors including the Entrada Institute, Saddlery Cowboy Bar and Restaurant, Utah Public Radio, Utah Film Commission, Utah Office of Tourism, Wayne County Travel Bureau, Robber's Roost Bookstore, Rim Rock Patio, USU Extension, Red Cliffs Restaurant, and Red Sands Inn. Also, thanks to theatre owner Tory Davis, the BIFF committee, as well as the program emcees Annette Lamb and Larry Johnson. The Bicknell International Film Festival is a not-for-profit 501(c)3 organization. Your donations to BIFF are tax deductible.